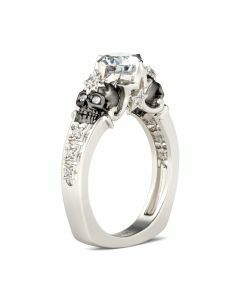 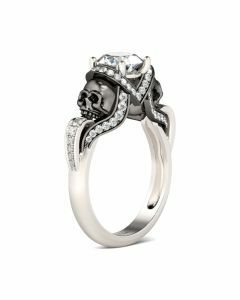 Unique and cool, this ring is a nice choice for fans of skull jewelry. 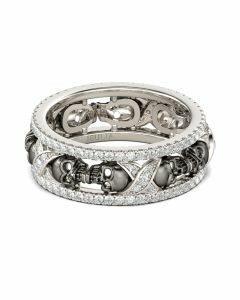 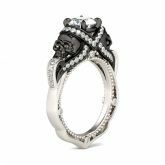 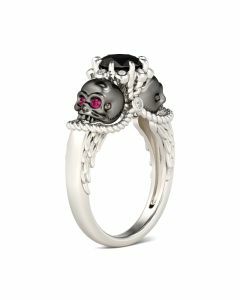 Crafted in two tone sterling silver, the ring features two black half skulls on the unique shank. 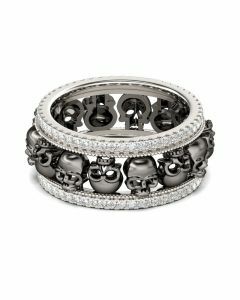 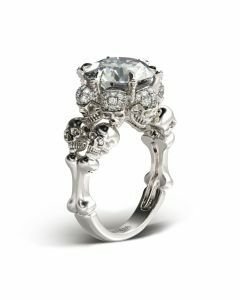 A round-cut center stone is set above the two skulls and wrapped in a ribbon-like frame of white stones. 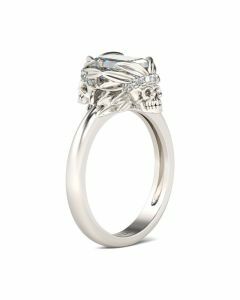 The high polished shank is adorned with shimmering round stones and delicate milgrain detailing. 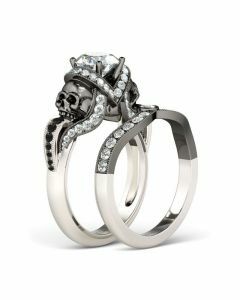 Mark yourself with this special ring.